I recently picked up some PX4MiniAIO boards (available from RTF Quads and the myairbot) – one of the many “mini pixhawk” variants that are sprouting up. I wanted this board because I want a mini form factor but also want multiple serial ports. Little did I know that the way they wired the board their “UART1” port is actually hooked to the Pixhawk’s serial console, which outputs only the OS console with the default build. This post follows my hacking around to make that serial port usable for telemetry again. This entry was posted in Uncategorized on April 19, 2016 by James Peverill. As of this writing I hadn’t seen a teardown of this device and I was anxious to see inside… so I did my own. This is the new 160×120 version of Flir’s cheap $250 thermal camera. 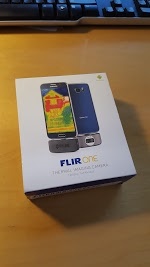 It features a 160×120 resolution sensor and slick new packaging. This entry was posted in Electronics and tagged Cameras, Flir, Thermal on October 19, 2015 by James Peverill. My quick and dirty review of the 14point7 Spartan. This entry was posted in Mercedes 190E 2.3-16v and tagged Megasquirt on September 15, 2015 by James Peverill. The Canon A4000 is a great tiny camera for flying aircraft applications. It is fairly new, has image stabilization and only weighs about 150grams. At 16MP it has more than enough pixels for its tiny image sensor. Being a Canon, it also works with CHDK which gives a lot of flexibility for automating and controlling the camera. Due to this, it is a pretty good candidate for conversion to a Near-IR camera. 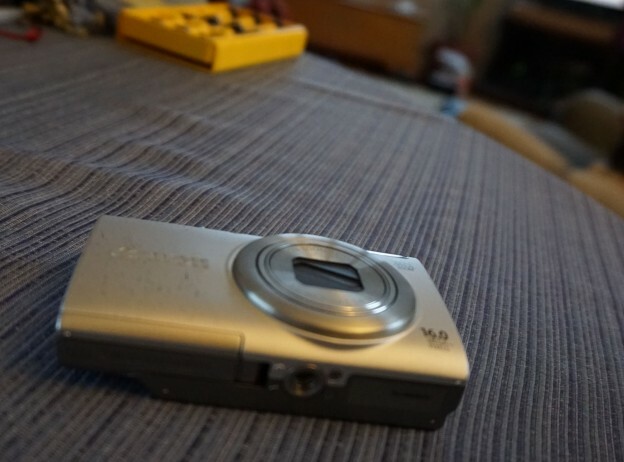 I had read online that it was a challenging camera to convert but it actually wasn’t bad. Heres a step by step. This entry was posted in Drones and tagged Cameras, Drones, Near IR on January 24, 2015 by James Peverill. Lattice devices look appealing compared to other vendor offerings for some of the applications I am looking at right now, so I recently tried to install the Lattice Diamond development tools on my Ubuntu 14.04 machine. The vendor offers only an rpm targeting redhat like distro’s, so a little work was required to get it working. This entry was posted in Uncategorized on September 30, 2014 by James Peverill. The Cosmonauts returned to NJ in May, this time a bit better prepared. The Real Hoopties of NJ 2014 race went quite well. An overall finish of 56th out of about 150 cars was by far our best finish ever, although still not in the top third! It wasn’t mechanical issues that slowed us down this time though. This entry was posted in 24 Hours of Lemons and tagged 24 Hours of Lemons, Cosmonauts Racing, MR2 on June 19, 2014 by James Peverill. 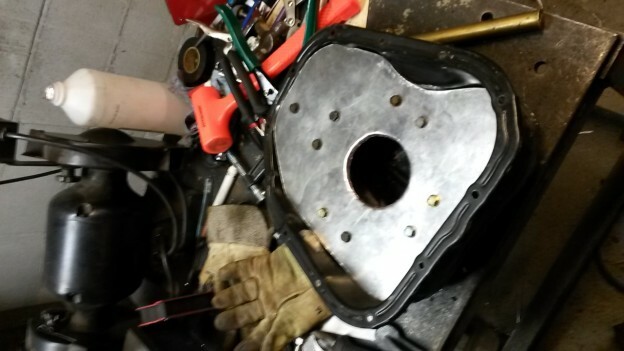 A fair amount of work has now gone into our custom deep sump, baffled oil pan for the 1MZ. At this point it is nearly complete, only an argon tank refill away from completion. This entry was posted in 24 Hours of Lemons and tagged Cars, Cosmonauts Racing, MR2 on April 7, 2014 by James Peverill. Since I have owned it the 190E has had a variety of annoyance level running issues. Initially it was virtually impossible to start but ran fine once it got hot… I later realized the ECU was unplugged! Turns out with CIS the ECU is really only there to do startup enrichment and cold start stuff. Lately the car has started fine but won’t stay running when cold AT ALL. Ie it fires on the first crank, revs to 1500ish, then dies immediately. Keeping it going when cold is an exercise in throttle feathering, but once it warms up it usually stays idling fine but the idle speed is a bit erratic. I had previously fixed a number of broken wires, cleaned the idle valve and cleaned all the relay and fuse contacts, but seen little improvement. This entry was posted in Mercedes 190E 2.3-16v and tagged Car Repair, Cars, mercedes on April 7, 2014 by James Peverill. 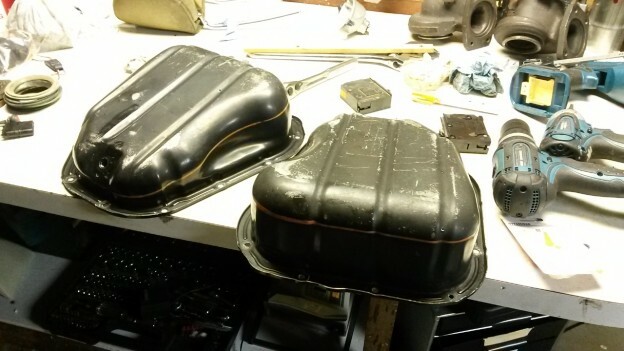 Our previous track experience indicated strongly that a better oil pan was needed for the 1MZ. Although we installed an oil pressure accumulator our first engine still barely lased an hour and the second about 10 minutes. The 1MZ features a very poor pan design for performance driving. The pan is very shallow and wide. The oil depth when the engine is full is only around 2″ above the bottom of the pan! It is no surprise that this causes issues! This entry was posted in 24 Hours of Lemons and tagged 24 Hours of Lemons, Cars, Cosmonauts Racing, MR2 on January 5, 2014 by James Peverill.